ONTARIO — A landlord in Canada is expressing dismay after he was recently ordered by a human rights tribunal to pay $12,000 to a Muslim couple for disrespecting their religion, in part for failing to remove his shoes in their bedroom, which was used as their Islamic prayer space. According to reports, Walid Madkour and Heba Ismail decided in January 2015 to move out of the in-law suite of Alabi’s home due to their unhappiness with the room temperature, Internet usage and a desire for quiet time beginning at 10 p.m. Alabi had rented out the suite for the past 15 years as a way to help pay for his mortgage. As Alabi soon sought to show the apartment to prospective new tenants, the couple asked that he not interrupt their prayer times, as they pray five times a day. The landlord granted the accommodation and said he would work around it. He also advised that he would give them 24-hours notice before a conducting showing, as allowed by law. However, Madkour and Ismail requested that Alabi send a text five minutes prior to any showing so Ismail could have time to properly cover her body and hair in accordance with the Islamic faith. While Alabi did sent text warnings at first, he discontinued doing so after the couple didn’t respond to his notices. 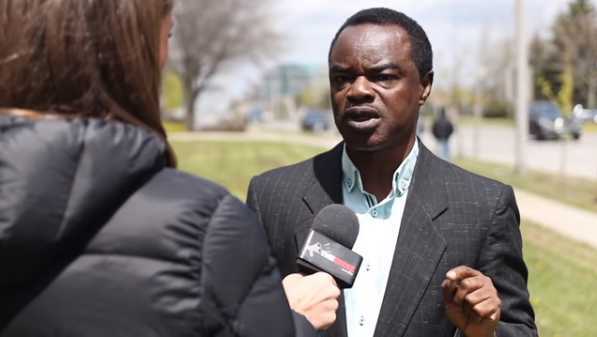 Eight months later, Madkour and Ismail filed a complaint against Alabi with the Human Rights Tribunal of Ontario. The two claimed that he had failed to accommodate their religion as he discontinued sending the requested text warnings and failed to remove his shoes before entering their bedroom, which was used as their prayer space. Alabi disputed the charges, contending that he only wore his house shoes for showings, and even then, he wore rubbers over his shoes, which he said he removed before entering the bedroom. The couple fought back by providing video of Alabi wearing his shoes after being asked by Ismail to remove them, as she said it was “disrespectful” and “racist” to continue walking through the apartment in footwear. Therefore, the tribunal ruled in favor of the Muslim couple and ordered that Alabi pay $6,000 each to Madkour and Ismail. “The respondent discriminated against the applicants by failing to accommodate their religious practices relating to prayer times by providing advance notice shortly before showing the apartment,” tribunal vice-chair Jo-Anne Pickel wrote in the decision. Alabi said that he had been accused of harassment for noisily shoveling snow outside of the apartment, which they accused him of doing on purpose. The tribunal further considered his text “Welcome to Ontario, Canada,” which he sent in expressing disgust over the couple’s five-minute advance notice request, to be harassing because it implied that the Muslim couple needed to adjust their religion to comport with Canadian life. Alabi has since sold his house and is seeking to appeal the decision.